Protecting your hair in all the seasons is a challenging task. During summer, your hair loss may be due to a different reason, while in winter, the reason may be different. Here are some quick hair mask ideas you can do at home to shield your hair. 1. 5 tbsp. of liquid yogurt, 1 tbsp. of almond oil, a small pinch of ground red pepper, 10 drops of essential oil of peppermint. Mix these ingredients together, apply on damp, washed hair, wrap with a plastic wrap and a towel and keep it for an hour. Peppermint oil and pepper increase blood circulation into the scalp, helping nutrients to penetrate into the hair roots and strengthening them. Over time, your roots will become stronger and your hair will stop falling out. 2. Overripe strawberries are known to work wonders for your hair. Nourishment aplenty is what you get with this hair mask. Puree 6 to 8 strawberries. Add only the egg yolk and 1 tablespoon of extra-virgin olive oil. Blend the mixture to form a smooth paste. Apply the paste by sectioning the hair. Smooth the paste from root to tip. Let the application sit for 20 minutes, and rinse thereafter with a mild, nourishing shampoo. For better results, wear a shower cap to facilitate better insulation and penetration through the layers of the hair. 3. The most recommended out of all hair masks - the good old onion is a powerful natural remedy against hair loss. The easiest way to make this hair mask is to collect the outer peels of the onion and blend them finely. Put them in a sieve cloth and extract the liquid and then apply the liquid on your scalp. You can also apply the blended onion paste directly. The smell is overpowering so you have to wash your hair really well after this application. Keep it on for 30 minutes or as long as you can and then wash off. Do this as many times as you can in a week and you will see results within a month. 4. Curry leaves and coconut oil for faster hair growth. You'll need to get fresh curry leaves and some coconut oil. Boil these two together until the black residue starts forming, then harvest this residue and apply it to your hair. Use it twice a week to replenish your hair, help it grow faster, and even fight gray hair! You don't need to fry the leaves, just boil them a bit to get the black liquid. Use this twice a week. 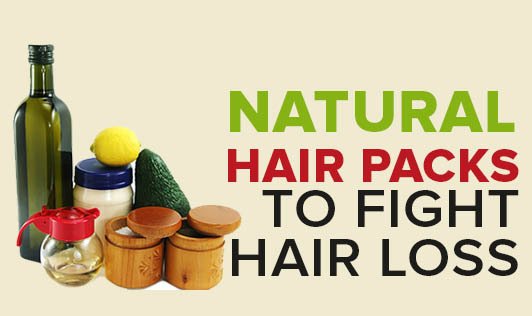 These are some home remedies for hair loss. If you have any such remedies, you can share it with us. You may also leave us a query if you have any questions about hair care.